Hi, Welcome to Zest Interior Design. I created my interior design business when I decided to combine my two loves in life, that is working with people and sharing my passion for interior design. Essentially, I am a people person and find it incredibly satisfying to transform my clients homes into a special place that reflects there taste and lifestyle. My interior and exterior projects include: ✥ Creating a home environment that is comfortable and inspiring to live in ✥ Designing unique and beautiful domestic interiors that reflect the owners personality, lifestyle and taste. ✥ Selecting beautiful and functional finishes ✥ Purchasing special Australian paintings that create a wow factor in their homes ✥ Creating beautiful colour schemes that have enhanced their properties both financially and aesthetically. ✥ Effective project management and used trusted builders, tradespeople and interior suppliers to that meet budgets and timelines. I offer an extensive range of interior services and cater for various sized project from intimate spaces to complete homes. I will make the whole process less stressful, more enjoyable and I will save you time and money. If you are after a one off consultation for colour and styling advice, or a larger kitchen/living area revamp which involves a longer time frame you have come to the right place. I'm always excited to discuss your interior needs and start planning your new interior project! Best of Houzz 2016, 2017, 2018 and 2019. The Little Design Corner is committed to making interior design and styling affordable and down to earth. Our goal is to help people create beautiful spaces that reflect who they are and how they live. Many of our clients know what they like but just struggle to bring their vision together. Other clients have no idea where to start with the design process - and that's fine too! The Little Design Corner wants to help you create a space you truly love. We also work regularly with families, so we understand what is needed to balance beautiful interiors with the function of every day family living (like where the school bags can go so they are out of sight!) To learn more about The Little Design Corner, our designs and the things we love please visit our website. Or please just get in touch via the Houzz contact button. Hello! I'm Laura, the Owner and Principal Designer of Studio 1 Interiors based in Sydney. I’ve been featured and published in Interiors Addict, Australian Home & Garden, Domain, NineMsn Homes, InsideOut, SkyNews and more. Since I was old enough to re-decorate my bedroom as a kid, interior design and styling has been in my blood. I’ve lost count how many times I revamped that space. Aside from the aesthetics of design and styling, I love forming connections with my clients; a strong relationship plays an integral part in the creative process. A well designed and styled space immediately sparks emotions…my job is to capture your energy and personality and help you inject that into your space. Working with me isn’t about what I like, it’s about you and making your ideas come to life. I'd love you to get in touch and let's start chatting about how we can work together. We make life better through creating extraordinary interior spaces, from conception to completion. Focusing on the kitchen and bathroom as hubs of the home, we design luxury environments that foster qualities of organisation, comfort, relaxation, security and peace. For us, communication is key, by truly understanding the unique needs and desires of our clients, a creative solution can be tailored that considers your nature, supports your routine and enhances your lifestyle. KCreative Interiors was founded by Karina Crombie who was born in New Zealand and grew up on NSW South coast before moving to Sydney to pursue a successful career in the fashion industry. Her strong interest in the creative world and natural ability to understand space, colour, light and contrast steered her away from the fashion world and, instead, toward the interior design and styling industries. She worked with Euroluce, Smart Design Studio and Insight Projects whilst studying for her qualifications at the renowned Design Centre Enmore and upon graduating (2009) began a freelance career in Sydney. Early recognition of her talent led to Karina’s collaboration with well-known brands, top-architects, designers and design magazines including Real Living –Jason Grant, Alexandra Kidd Design & Barnes & Barnes which quickly launched her career firmly placing her as a fresh, young and exciting designer to work with. Today Karina runs KCreative Interiors consulting on both residential and commercial projects to create stunning spaces for you to work, live, create and grow in. SYDNEY’S LEADING INTERIOR DESIGNERS AND STYLISTS Advantage Interior Design will help you create a tailored and practical living space that suits your style, lifestyle and budget. Whether you’ve upscaled, downsized or just want to give your home a facelift or total revamp, we can deliver the vision you have for your home. We are rapidly becoming the interior designers Sydney chooses to deliver that wow factor to their home. From choosing colours, materials and finishes, through to furniture, art and accessories, we’ll bring it all together into a cohesive, well planned and designed interior scheme. Consistent with Sydney’s vast range of property types, our interior design styles cover all types of properties – coastal, suburban, city living, modern and classic. From a partial makeover to a full home overhaul, our interior designers and interior decorators will work with you to create a tailored, stylish and practical living space that you’ll LOVE to come home to. Call us on 02 9310 1611 or complete the online enquiry form on our website to find out how we can help transform your home. If you’re looking for a designer who cares about you and creating your ideal home – not theirs, then you have found me! Not only will I bring together the perfect design for you, I'll hold your hand through the entire project and manage it from start to the beautiful finish. Whether you have just received your plans from the Architect, picked up the keys to your new home or you’re ready for a change but have no idea where to start. I listen to my clients and help them bring their ideas to life. I'm great at gentle persuasion to push you out of your comfort zone, and it's those little pushes that make for the best interiors. My goal is to create a home that is a direct reflection of you, your family and the way you want to live. But it's no fun unless we take a little bit of a risk. Before I started my business in 2003 I had begun renovating my home in Sans Souci in Sydney and just fell in love with the whole process. So much so I was re-arranging my friends lounge rooms when I was visiting for a cuppa, without even really thinking. Creating little vignettes, changing things around and generally making a nuisance of myself. However, they all loved it and kept encouraging me to do more and more. Before I knew it I was studying at the School of Colour and Design and leaped head first into starting my own business. My daughter was just 8 months old, and the dining table was covered in paint colour chips and anything I could get my hands on to get started. I could hardly sleep I was so excited about what the future held and to be doing something I loved so much!! Fast forward 15 years, 3 kids, 1 divorce and a slight Pug obsession and I’m loving what I do even more today than ever! Each new job brings exciting challenges and sparks new ideas and imagination. It’s a constant learning process too as I keep up to date with trends and suppliers and all the gorgeous things that go into my interiors. Please give me a call, I'm here for you, and always with a smile, enthusiasm and genuine love for your project. I'll save you time, money and heartbreak. In return, you will have the beautiful home you've always dreamt of. I guarantee it! And I can’t wait to meet you. 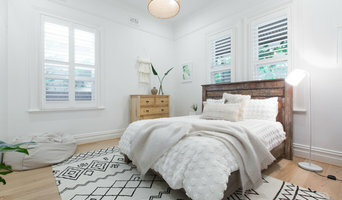 Henry and Co Interiors is a modern Sydney design studio creating simple and easy living with a minimal aesthetic. Merging the practice of creativity and innovation to produce beautiful, habitable and practical spaces for each and every client. Specialising in full and partial renovations, kitchen and bathroom design, interior decorating and styling. Denby Dowling heads a team of professionally trained and qualified Interior Designers. Although Denby delegates a design professional on her team to individual projects, Denby solely directs & manages each project herself & is responsible for the client's budget, direction & scheme, so that it reflects not only the clients vision, but Denby's individual artistic & eclectic flair. Denby has worked in the design industry for over 18 years, as an Interior Designer/ Decorator & Interior Stylist. Her passion for interiors is contagious & professional work ethic applaudable. The best part about working with clients is realising their vision & desire to create a beautiful home & interior. "I love the close interpersonal relationships I form with each client when striving for an individual look & feel for a home, work space or commercial project and although its a much used cliche, the 'journey' from concept to a reality is the best part of cohesive creativity, it provides a very rewarding career & sense of achievement & fulfilment". The team at Interior Decoration Sydney's skills are varied but the design ethic is clear - we help you realise your own personal vision, even if you are not completely sure what that may be! We pride ourselves on delivering individual schemes for each & every client & home, with one consistent theme- quality furnishings, classic & timeless themes whatever the genre, so that the interiors scheme has longevity & can be enjoyed for decades to come. We love the bespoke and attention to detail. We are informed by organic, sustainable and textural elements. Confident colour and palette selection are a specialty and an essential ingredient to the success of any project. At conway + wise our approach is primarily driven by our client’s brief. We believe an authentic, collaborative design process is the best way to achieve exceptional outcomes. From conception to completion our full service navigates you through the complexities of the construction process. Creating the overall look, feel and aesthetic for a project requires exceptional communication skills. We pride ourselves on our innate ability to define a concept that is responsive to our client's unique needs. Angela Steyn & Co is a multi disciplinary design studio focused on creating beautiful, timeless spaces that bring joy and harmony to those who inhabit them. Combining interior design and architecture, Angela and Andre Steyn are able to take projects from inception through to completion with an eye for design ingenuity, colour and decoration. Their complimentary skill set means they approach projects in a unique way that delivers outcomes that are highly developed and well thought out. They imagine the end from the beginning, resulting in interiors that are breathtaking in their conceptualisation and execution. ANNA CARIN design [ACD] is a multi-faceted interior design studio based in Sydney specialising in Scandinavian influenced high-end residential interiors. 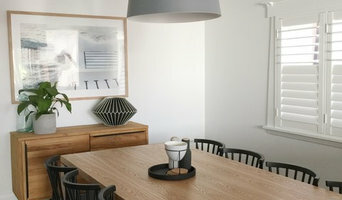 Originally founded in 1996 as INNE - a forerunner in introducing Scandinavian furniture to the Australian market – ACD has since developed into a fully-fledged design business, supported by a highly-passionate and creative team, offering customised service and expertise to a discerning client list. Swedish born Founder and Principal Designer Anna-Carin McNamara has a Master of Arts degree from the Royal College of Art in London and has worked as in-house designer for prominent interior house Svenskt Tenn in Stockholm and as Senior Designer with Rupert Gardner Design, also in Stockholm. She draws on local and international influences, in particular from her Swedish roots, for all of her design work and creative undertakings. ANNA CARIN design’s aim is - through passionate involvement - to provide stylish, innovative and functional solutions that will stand the test of time and give clients much pleasure and enjoyment for years to come. 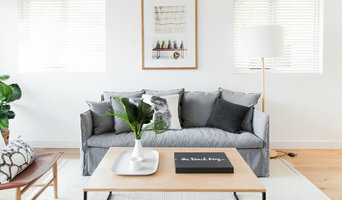 Having been founded over 9 years ago, Sydney-based and award-winning boutique interior design studio Style Create Design has built a reputation for style and excellence within the Australian design industry. Founder and principal designer Angela Morrison brings with her more than 25 years of experience in design and styling. With a passion for colour and design, Angela and the Style Create Design team combine stylish, elegant and clever concepts to create exceptional and functional spaces. Working across both residential and commercial projects, the Style Create Design team are experts in interior design and colour consultation. With a keen eye for detail, commitment to excellent service and demanding of quality each and every time, the studio works closely with clients to understand their individual design style, ideas and requirements for a space. This allows Angela and her team to design a space that is beautiful, cohesive and welcoming, as well as ensuring the smooth running of your project, whether it’s a new build, renovation or decoration. 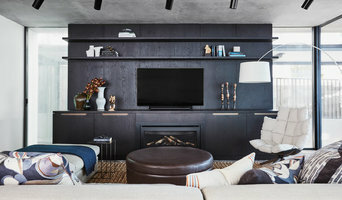 On occasion, interior designers in Bondi, New South Wales will need to subcontract help from other Bondi, New South Wales professionals to help create the perfect look for your home renovation. These may be specialist installers or interior decorators like kitchen designers, architects or landscape contractors. Start by asking yourself what you want your space to become and how it will be used. List your must-haves and decide on your budget. Interior design services can add up fast, so be upfront with potential interior designers from the beginning. Also, pick a designer in Bondi, New South Wales that fits your style. Browse through their interior design portfolio on Houzz and ask yourself if you’d live in any of those houses. If the rooms inspire you, take note of what elements you appreciate. 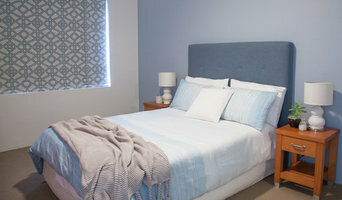 Find residential Bondi, New South Wales interior designers on Houzz. Scroll through this page to find interior designers in your area. Then, browse their design portfolios to see how their work compares to the scope of your project. You can read reviews to see how other homeowners rate their work, and message them directly to to ask any specific questions.